Shelter Island is now home to The Brigantine, Inc.’s two newest concepts – Ketch Grill & Taps and Portside Gelato & Coffee. 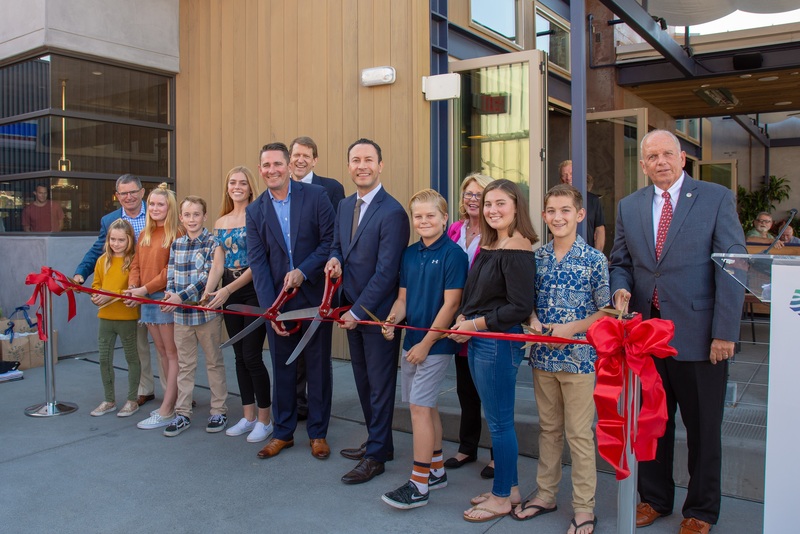 The Port of San Diego and The Brigantine held a grand opening celebration for the debut of both establishments at 2614 Shelter Island Drive in San Diego on Wednesday, October 24, 2018. Ketch Grill & Taps is a casual eatery that connects San Diego’s unique, fresh seafood and pub fare with the area’s thriving craft beer and spirits community. Portside Gelato & Coffee is a walk-up shop scooping up a wide assortment of fine gelato and brewing fresh coffee and espresso from local roaster, Café Moto. "This is a fantastic new waterfront experience. The Brigantine has been serving San Diego for nearly 50 years - in fact, they opened their first Brigantine Seafood and Oyster Bar on Shelter Island. We're thrilled they are debuting their latest new concepts on Shelter Island as well!" said Chairman Rafael Castellanos, Board of Port Commissioners, Port of San Diego. “With our history on Shelter Island, we are fortunate to have the opportunity to debut our two newest brands at this location. Visitors, locals and all who work on the island and nearby love our flagship restaurant and Miguel’s Cocina. We know they’ll love Ketch and Portside Gelato as well,” said Mike Morton, Jr., president and CEO of The Brigantine, Inc.
A Demand Control Ventilation kitchen exhaust system to limit energy use. The Brigantine, Inc., based in San Diego, is a restaurant company that owns and operates restaurants under three brand names; Brigantine Seafood and Oyster Bar (7 locations), Miguel’s Cocina (6 locations), Ketch Grill and Taps (1 location). In addition to the core brands, the company operates a test kitchen restaurant (Brig HQ) and a brewery (Ketch Brewing) out of its Kearny Mesa Corporate Headquarters.